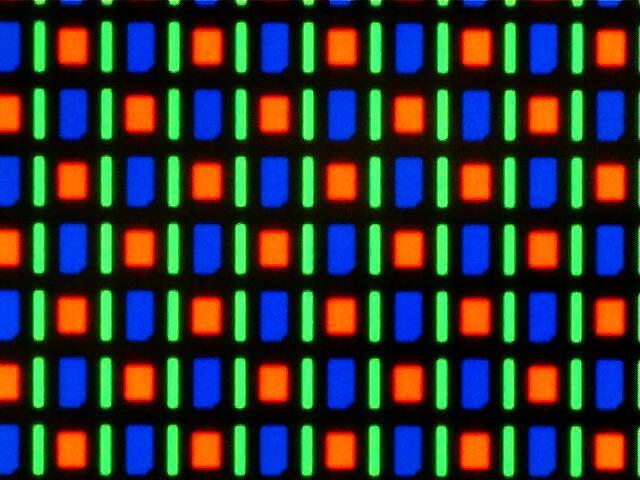 High field-effect mobility of Amorphous Oxide Semiconductor Thin Film Transistors (AOS TFT’s) has become more critical in switching devices for active matrix OLED’s (AMOLED). Out of many AOS materials, stable a-IGZO (Indium Gallium Zinc Oxide) TFT’s has shown high performance in display devices. However, the process integration of TFT’s is very complicated where a high number of parameters are to be considered and optimized to obtain maximum device performance. Therefore, it is essential to develop each process step through various device structure of thin film transistors using Back Channel Etch and self-aligned TFT. 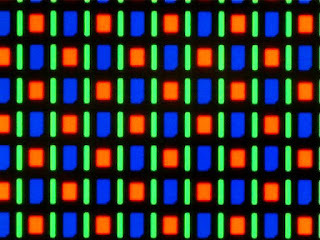 An example: Magnified image of the AMOLED screen on the Google Nexus One smartphone using the RGBG system of the PenTile matrix family (Wikipedia). The conclusions drawn from the studies of BCE applied to a-IGZO 10% O2 aelf–aligned (SA) device structures where Al2O3 layer deposited by ALD at 150 °C as a gate insulating material. The electrical characteristics of fabricated Thin Film Transistors are obtained to be very promising for further engineering applications. A deep study and understanding of each step in process flow and significance of Atomic Layer Deposition gave a fruitful insight into many aspects.